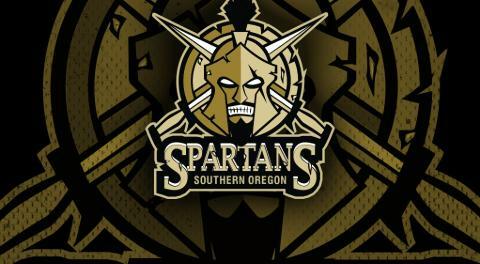 Mike has been the Strength and Conditioning coach for the Spartans since they entered the WSHL. At Southern Oregon University, Mike studied Health and Physical Education. Mike also holds numerous certifications in strength and conditioning, personal training, and Olympic weightlifting. 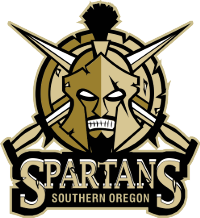 Mike brings a level of discipline and hard work that has helped the Southern Oregon Sprtans be one of the most physical and mentally tough teams in the WSHL. Catherine comes from a background in Business Office Management. For several years, she worked as the Business Office Manager for a local Assisted Living / Memory Care. She started out in management early, her first management position was when she first turned 18 for a widely known local business, in which she was in charge of 25 associates for an eCommerce department. Since then, Catherine has worked for two other businesses - a golf course and the Assisted Living facility. Through all three of these, Catherine's determination to move up into more advanced positions shows that she is just what we need! She has several years experience in collections, Account Receivable and Accounts payable - along with a long list of other skills that will help her be very successful in this position. Although young, Catherine has the experience we need for the Director of Operations position. We are excited to have her with us for this 2018-19 season and beyond! Robert L. Patterson III ( Rob) Has been a member of the Spartans family since it’s inception three years ago and has been there shoulder to shoulder with the team on the bench ever since. Rob has lived in the Rogue Valley since 2001 with his two boys Owen 11, and Robbie 13. Rob is an active member in the community helping to coach and serving as President of the Phoenix Talent Pop Warner Football Association. Rob received his BA from Western Maryland College in Athletic Training, went on to receive his MS in Physician Assistant at Duquesne University. Rob can be seen throughout the valley as the Athletic Trainer of many of the most premier athletic programs. Friday nights in the fall you can see him at many local venues helping with High School Football, he has been responsible for the care of the Medford Rogues Baseball Team, the River Dawgs Baseball Team, the Warriors Football Program, the Renegades Football Program, and previously the Wranglers Ice Hockey Team. Rob has extensive orthopedic training with more than 15 years of hands on operative and clinical experience. Previously he worked with Steve Chamberlain of Southern Oregon Orthopedics and now he is employed at Valley Immediate Care here in our valley. Rob is well known in our medical community and has provided our athletes with excellent care making many parents thankful for his service. We welcome Rob back this year in conjunction with valley Immediate Care as our Team Medical Provider for the 2013 WSHL season. Pat, an Ottawa Canada native, has been involved in hockey for 24 years. He has a diverse background of scouting, recruiting, coaching, and managing hockey teams from across Canada and in France. His experience at the Junior A, Major Junior and Professional level provides additional expertise to our organization.